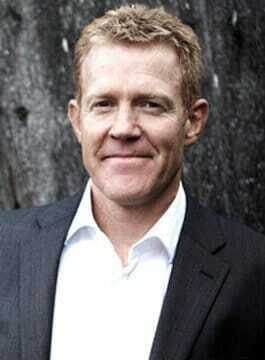 Adam Henson is one of the UK’s best known farmers and a presenter on BBC1’s Countryfile. He appears in Countryfile’s regular feature, Adam’s Farm, where he reports from his own farm on the topical, practical challenges he faces. Judges have praised his skilfull explanation of a diversity of farming business issues and the empathy he expresses when commentating on the tougher aspects of farming life. They have also praised Adam’s tireless efforts for farming. Adam Henson won the ‘2010 Farmers Weekly Champion of the Year Award‘ sponsored by the National Farmers Union. As Farming Ambassador for Lloyds Bank since 2011, Adam has had the opportunity to travel all around the country, meeting a diverse range of British farmers and agricultural professionals. An ambassador for British farming in general, Adam has attended many of the major farming and countryside events to chair meetings or promote the farming industry to the public. Drawing on a wealth of farming knowledge, Adam has presented weekly for Radio Gloucestershire and is a regular contributor to BBC Radio 4’s On Your Farm and Farming Today. He also writes for the monthly Countryfile magazine in his capacity as resident farmer. In 2013 Adam teamed up with chef Nigel Slater to co-present Nigel and Adam’s Farm Kitchen, a four-part series exploring how food gets from farm to fork, and how to make the most of seasonal produce. In 2015 , Adam presented a new series of BBC1’s Secret Britain with Ellie Harrison. This 3-part series discovered the Water World of Wales, the Mysterious Moors of Yorkshire and The Hidden Highland of Scotland. Adam also co-presents BBC2’s Lambing Live alongside Kate Humble. Adam’s ‘Cotswold Farm Park‘ pioneers rare breed conservation and is part of the 650-hectare Bemborough Farm. This has given him an in-depth knowledge of British farming, and led to his expertise as a popular presenter and after-dinner speaker.